There used to be a car called a Pontiac Fiero. It was awful. Like a mid-engined Corvette with half of its cylinders and silly little tires. But it allowed a bunch of really cool kit cars to be built around its mid-engine layout, and some people were foolish enough to swap in V8 engines thinking they had just built a GT40 or Testerossa. There was also the Toyota MR2, which was a decent little car. The final iteration with its four cylinder turbo was fun to drive. I took one for an extended, high speed test drive back in the day and loved it. I remember thinking that it needed a limited slip differential and larger sway bars or something to keep the roll down but it was a fun little car. I really wanted one back in high school, because it was mid-engine and we all know that the best sports cars in the world are mid-engined. Ferrari, Lamborghini, Porsche (sort of), and so on. But then it all stopped. The cheap mid-engine cars stopped showing up. There was the Lotus Elise/Exige and Porsche Cayman but those are expensive. That’s the whole problem. We need cheap, mid-engined cars so we can build our own race cars like this Fiero that was sold on Craigslist recently. You could also strip them down and cover them with modern day versions of these kit cars and build a Lancia O37 clone! Or we just need cheap mid-engined cars because they are so much fun to drive. A lot has changed since the Fiero first came out in 1983. 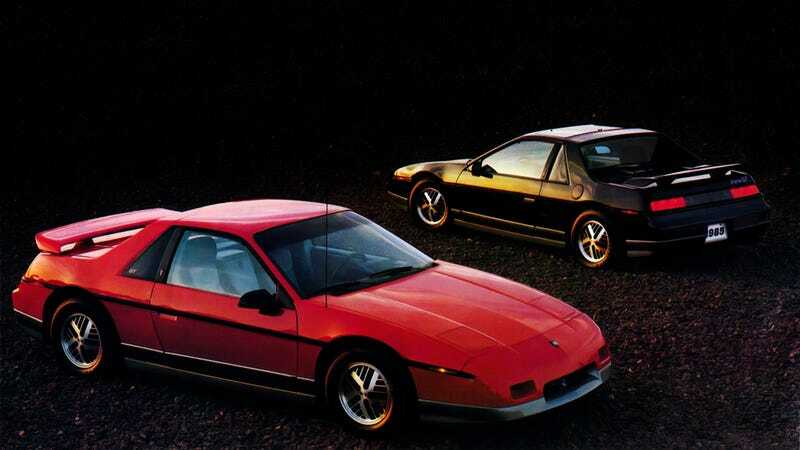 I bet GM’s engineers could build a modern Fiero that would be awesome. If they can make a Camaro beat a BMW M4 around a racetrack, they can build a Fiero that will be faster and cheaper than a Lotus. I say bring back the Fiero!